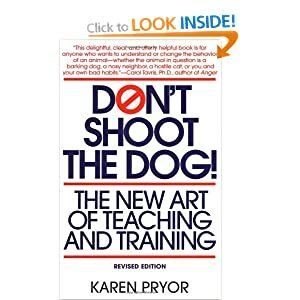 "Whatever the task, whether keeping a four-year-old quiet in public, housebreaking a puppy, coaching a team, or memorizing a poem, it will go fast, and better, and be more fun, if you know how to use reinforcement." 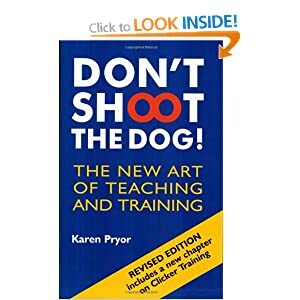 --Karen Pryor. 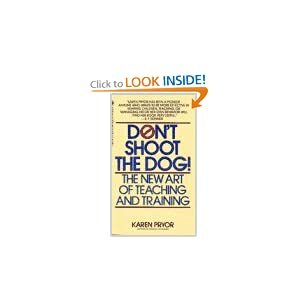 Now Karen Pryor clearly explains the underlying principles of behavioral training and through numerous fascinating examples reveals how this art can be applied to virtually any common situation. 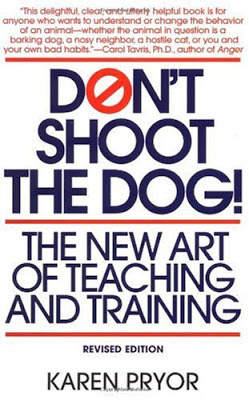 And best of all, she tells how to do it without yelling threats, force, punishment, guilt trips--or shooting the dog. 8 methods for putting an end to all kinds of undesirable behavior. 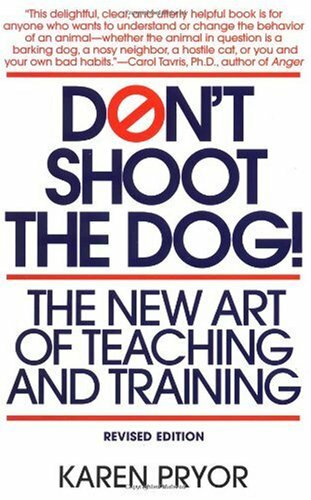 The 10 laws of "shaping" behavior--for results without strain or pain through "affection training." How to combat your own addictions to alcohol, drugs, cigarettes, overheating or whatever, how to deal with such difficult problems as a moody spouse, an impossible teen, or an aged parent. 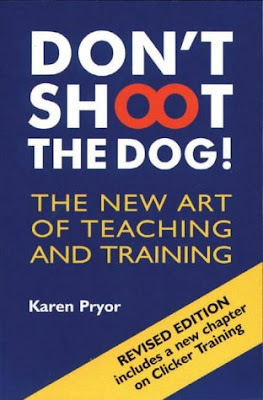 Plus. . .House training the dog, improving your tennis game, keeping the cat off the table, and much more!